What to Do When White Residue Is Left on Clothes After Being Washed? When you remove your laundry from the washing machine, you want it to look clean. If white residue covers the clothing, there are several possible causes and several solutions. Sometimes, you will need to rewash the load and make a few changes in how you wash your clothing. Other times, you can remove the white residue in the dryer. 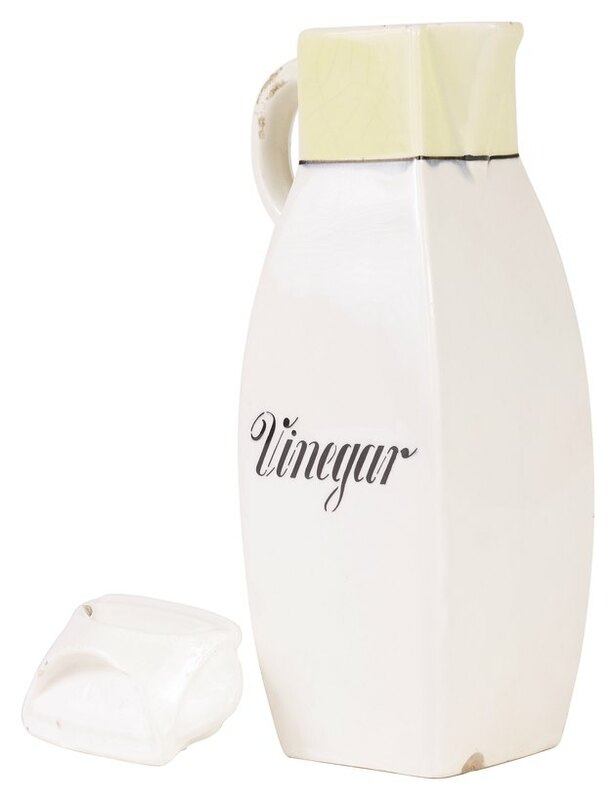 Adding vinegar to the wash helps cut white residue. If you forgot to check your pockets, to remove any pieces of paper or facial tissue, that white coating might be little bits of paper residue. If you intend to put the clothing in the dryer, take each piece outside and give it a good shake to dislodge any loose pieces. Then, put the clothing in the dryer after cleaning the lint trap. While the dryer runs, check the lint trap every 10 minutes or so, removing all the excess lint. The lint trap should catch much of the residue, yet if it is a lot of residue, it will quickly fill up the trap, which is why you need to clean the lint trap more often than normal. When washing your laundry, put the detergent in the machine while the water is filling and before adding the clothing. If the water is too cold, the soap may not dissolve adequately. The white residue might be undissolved laundry detergent. In this case, rewash your laundry without adding more detergent. If using cold water, consider a liquid detergent instead of a powder, yet, in both cases, add the detergent to the water before the clothing. The cause of the white residue might be the result of overloading the washing machine and not allowing a sufficient amount of water to move throughout the fabrics. In this case, rewash your laundry, but break it down to several smaller loads and set your water level to an appropriate amount, referring to your washing machine's user manual. 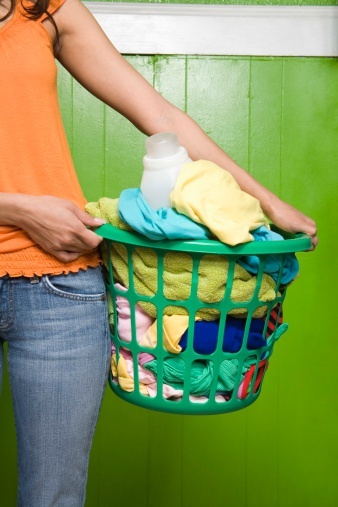 You might be adding too much detergent to your laundry, resulting in a soapy residue left behind on your clothing. Even if you use the recommended amount suggested by the detergent manufacturer, it might be too much soap if you have soft water. Try reducing the amount of soap for future washes. For the load with the soapy residue, rewash in a machine without adding more soap. The liquid fabric softener might be the cause of the residue. Like the detergent, it needs to properly dissolve and disperse in the water. Refer to your washing machine's user manual for the proper use of liquid softer. Adding 1/2 cup of white distilled vinegar to the wash or rinse cycle can reduce the amount of residue left behind on your laundry. When added to the wash cycle, it prevents lint from clinging to the clothing during the wash. When added to the rinse cycle, it helps remove the soap residue. When rewashing your laundry to remove white soap residue, add 1/2 cup of white vinegar to the rinse cycle.